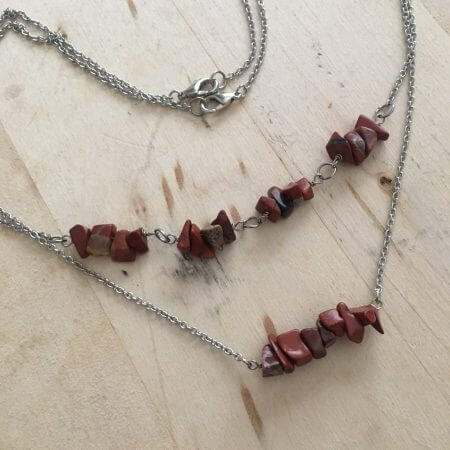 Join Vee from Vena Rico Designs in this layered-necklace workshop! Learn a wire wrap technique you can apply to many designs, and how to measure and assemble chains and findings for necklace layers. Make one, two, or three simple layers using semi-precious stones and wire pendants. Registration required, a materials fee of $10 is due at the time of registration. Limit 12. Registration information: Register online using this calendar starting November 1st at 10:00 am. Payment for programs may be made online here with Paypal or most major credit cards, or in person with cash or check within 5 days of registering. Refunds may take up to 4-6 weeks to process.